At Lock Medic Locksmiths we specialise in all types of residential and commercial locksmith services. We understand how frustrating it is to be locked out of your home or business, but we help you to regain access as soon as possible. At Lock Medic Locksmiths our primary concern is your safety. Security for your home and property is more of a necessity than ever, and we are able to offer excellent prices on all our alarm installations. We provide a complete service including maintenance, advice and even site surveys. At Lock Medic Locksmiths we have the technical experience and qualifications that equip us to carry out all types of auto work quickly and efficiently. We aim to achieve 100% customer satisfaction at all times with our professional, prompt and friendly auto service. More about our company and the services we can offer you. Contact us today for a FREE QUOTE or to see how we can help you. Why Choose Lock Medic Locksmiths? We are a family-run locksmith firm with more than 30 years' experience of working in and around Bognor Regis, Chichester, Littlehampton and Worthing, West Sussex. 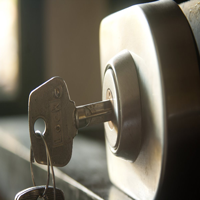 We offer emergency locksmith cover to both residential and commercial clients, so that your broken or damaged locks can be repaired or replaced at any time of day or night. In short, we are always there to help you. Moreover, our RAPID RESPONSE SERVICE ensures that a friendly and professional locksmith will be on your doorstep within 30 – 60 minutes of your call. Our professional security and locksmith services come highly recommended by our clients; a significant part of our work comes from referrals from customers who are pleased with the quality of service we offer. Just take a look at some of our customer reviews to see what they say about us. You can rely on Lock Medic Locksmiths to deliver a first-rate lock and security service at an affordable price, plus there's no VAT. With more than 20 years' experience as qualified residential and commercial locksmiths and security experts, you can trust us to help you to sleep comfortably at night. We are a family-run business; we are friendly, professional, keep our products affordable and our standards high. We give a 100% guarantee on all the lock repair work we carry out. We have a customer-focused approach, ensuring that you experience minimal inconvenience as we work hard to mend your locks. 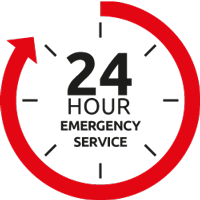 Call our locksmiths in Bognor Regis, Chichester, Littlehampton or Worthing for emergencies. We are available 24/7, and in most cases within 30-60 minutes of your call. We are there to help when you get locked out, break your key in the lock or lose it. We work in a 30-mile radius around Chichester, Littlehampton, Bognor and Worthing. We can supply and fit high security door and window locks, including office or warehouse security locks. 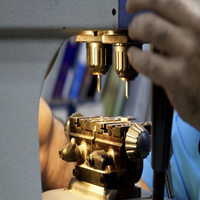 We only use good quality products such as Yale – Chubb – Union – ERA – Legge. 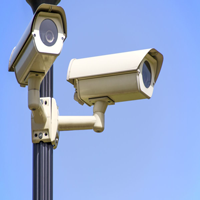 Protect your home and office by investing in quality CCTV security systems to keep intruders out. We also install burglar alarm and CCTV systems that use smartphone apps that alert you instantly if there's a break in, making security easy for you to manage. We are No 1 for key cutting in Bognor and the surrounding areas. Whether you need replacement keys or copies of keys, we can can do so in minutes. 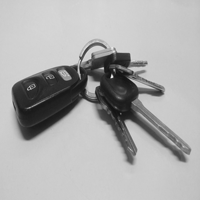 Our AUTO locksmith service provides replacement transponder car keys for various car models, combining our lock mending skills with modern technology. "We moved home in early March and Lock Medic replaced all the locks in the house at a very good price!" "After going out shopping for the day I had lost my keys. Lock Medic were luckily there to get me in and replaced all my door locks as requested. " "After being locked out of our family home Lock Medic were there in no time. The team were very professional and I highly recommend them." AT LOCK MEDIC LOCKSMITHS WE DELIVER WORLD CLASS SECURITY BACKED BY MORE THAN 30 YEARS' EXPERIENCE. WE COMBINE PROFESSIONALISM WITH EXCELLENT CUSTOMER SERVICE.